Microsoft will require an Office 365 subscription to use Office apps on an iPad Pro, reports Ars Technica. The reason is that the tablet's 12.9-inch screen size exceeds Microsoft's 10.1-inch threshold for free access to viewing and editing features. Comparatively, the Office suite of apps on the iPad Air and iPad mini allow viewing and editing documents for free, since their screen sizes are 9.7" and 7.9" respectively. iPhones also have access to viewing and editing features at no cost. The Office apps on the current iPads offer both viewing and editing documents for free. A handful of features require Office 365 subscriptions, available as in-app purchases, but the core editing capabilities are all zero cost. Install those same apps on the iPad Pro once it arrives in November, however, and all those editing features will go away. Office on the iPad Pro will require an Office 365 subscription for any and all editing. Office 365 Home costs $99.99 per year, or $9.99 per month, and includes access to Word, Excel, PowerPoint, OneNote, Outlook, Publisher and Access on 5 PCs or Macs, 5 tablets and 5 smartphones. Up to five subscribers also get 1 TB of OneDrive cloud storage and 60 Skype minutes of calling per month to mobile phones and landlines. Office 365 Personal is also available for $69.99 per year, or $6.99 per month, and includes access to Word, Excel, PowerPoint, OneNote, Outlook, Publisher and Access on 1 PC or Mac, 1 tablet and 1 smartphone. One subscriber also gets 1 TB of OneDrive cloud storage and 60 Skype minutes of calling per month to mobile phones and landlines. iPad Pro launches in November starting at $799 in the United States. The reason is because the tablet's 12.9-inch screen size exceeds Microsoft's 10.1-inch threshold for free access to viewing and editing features. 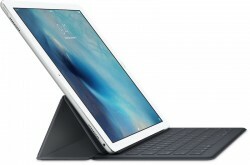 So if your iPad Pro is traveling quite quickly, according to the Lorentz-contraction ('https://en.wikipedia.org/wiki/Length_contraction'), you could gain access to Microsoft Office for free! This is a significant reason for developing near-speed-of-light travel. People always act shocked and outraged when companies try to make a profit. One of the weirdest side-effects of this internet start-up age. I could use Apple's free apps that do the same thing, and read and write MS formatted documents just fine. No thanks, Microsoft. Apple's free alternatives most certainly don't do the same things. They're very underpowered and contain a number of compatibility issues. Office 365 Personal ('https://products.office.com/en-us/buy/compare-microsoft-office-products?tab=omac') is also available for $69.99 per year, or $6.99 per month, and includes access to Word, Excel, PowerPoint, OneNote, Outlook, Publisher and Access on 1 PC or Mac, 1 tablet and 1 smartphone. One subscriber also gets 1 TB of OneDrive cloud storage and 60 Skype minutes of calling per month to mobile phones and landlines. People hate the subscription service but what you don't realize is you get all future upgrades, including Office 2016/2017/2018, etc including 1TB of cloud storage, plus you can install it on 5 devices. It's actually a pretty good deal if you want to always have the latest version of Office. And I would expect macros to NEVER be supported in Number, nor would I want it to. Given the history of viruses that can be injected vis macros in Word and Excel, I was always glad they omitted that. I like that they list everything on that chart, it's quite handy. And the things that aren't supported aren't really missed, believe me. Again - the average Mac user doesn't need MS's bloatware. The whole point in responding to the topic was that anyone using a 12" iPad most certainly has a choice other than MS Office. Someone keeps bringing up the "compensating for apps", although I never mentioned that one bit. I am decidedly more negative to Microsoft than most other companies, not because they charge too much (which they do), but because of the sloppiness of the software and OS's security throughout the late 90's and onward that led to the constant need to run all the other bloatware to keep your computer from being infected. Well, then go on and enjoy Apple's "HAAS" business model -- thanks to planned obsolescence, Apple basically sells Hardware As A Service. Or, simpler put, it's more like a lease because with one of the next software updates that they give away "for free", the performance of your hardware becomes so abysmal that you're forced to buy a new machine. The average Mac user doesn't need MS's bloatware? Speak for yourself. If that would really be the case, why are Microsoft Office for Mac and Windows (which is then used in either "Boot Camp", VMware Fusion or Parallels Dekstop) selling like crazy? The answer is awfully simple: Even the average Mac users very obviously NEEDS Microsoft's products. Malware injected via Macros. If a product can be in any way programmed or scripted, that risk goes with the territory. And if it's a product that is used by hundreds of millions of people on the planet, that risk naturally is exponentially higher than someone writing a, let's say, Mac-compatible Python script that will potentially harm your machine in some way. After all, Macs do come with a pre-installed Python interpreter, and Python is a full blown programming language that's not only loved by sys-admins. People using a 12" iPad Pro have most certainly a choice other than MS Office? Theoretically, yes. In the real world, the target audience for the 12" iPad Pro -- which will most likely be BUSINESS USERS -- will not be satisfied with a second or third class office suite but will be needing the real thing that all of their peers are using. The very simple reason why everybody still buys Microsoft Office instead of using ANY of the alternatives is that the Microsoft office suite is the best product on the market when it comes to business use. With Microsoft Office, it's not just about the client applications like Word, Excel, Powerpoint, Visio, Access or Outlook -- it's about the back-end as well. Sharepoint and Exchange are the real killer applications, and the client apps integrate perfectly into those server applications. Try working on a globally distributed team WITHOUT Microsoft's products and then try it WITH their products. Everything else - from Google's over Apple's solutions to whatever else you might find on the market just pales in comparison. I understand where your attitude comes from - I've been there myself. For 25 years now - even as part of my daily job - I've been constantly evaluating alternatives to all (expensive) commercial software products on the market. In some cases, alternatives are there and are being used where it makes sense. But the fact remains that Microsoft just OWNS certain niches like Active Directory (which alone is a killer application without ANY serious competition), Groupware like Sharepoint and Exchange, Terminal Servers, Office suites and business-grade multi-platform communication software like Skype. Hate Microsoft, love them, don't care about them -- it doesn't matter because when you work in and with professional IT, there is no way around them. Macrumors comment of the year !! HOLY SMOKES, how DARE a software company try to make a profit with their software! I seem to be in the minority here, but I think Office 365 is a bargain for what it provides. Install on 5 PCs/Macs, plus tablets, Office Online, 1TB OneDrive storage, Skype bonus, etc. If you don't need it then great, you don't have to spend $99/year. But there are those of us who do need MS Office, and IMHO this is a good deal. I do love how on this forum that there's always loads of "take my money" posts when new hardware is announced, but as soon as it comes to paying for software there's outrage.